Children love to draw, and portray the reality they see and know. They choose colors, shapes and subjects that also express their level of maturity and conceptual development. These circumstances make studying them attractive from various points of view. 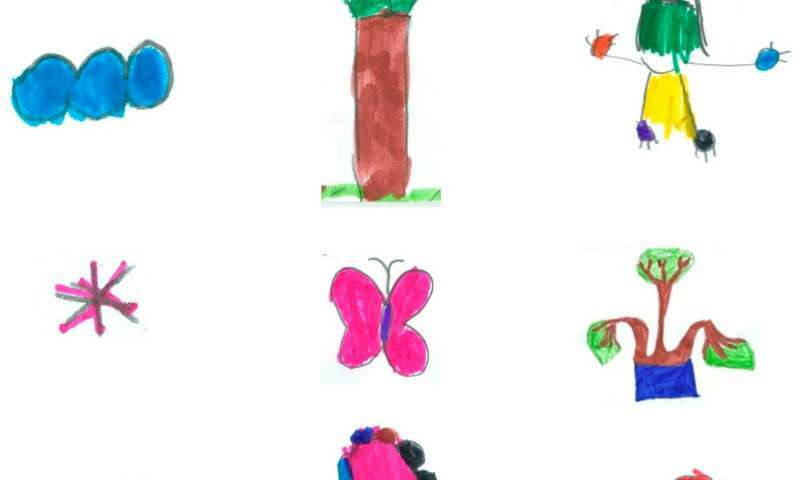 A new study shows that children up to the age of seven spontaneously use symmetry in their drawings to express their knowledge about plant life. In the sample analysed, this is a very frequent strategy and becomes more complex with the education level, as highlighted by the researchers in the Faculty of Education—Bilbao (José Domingo Villarroel and Álvaro Antón) and the Faculty of Science and Technology (María Merino). "Well before the age of seven, children display drawing skills that include the spontaneous depiction of symmetries, which should exert a significant influence on infant teaching and learning processes, not only with respect to the sphere of comprehension of biological phenomena but also with respect to the development of geometrical thinking," said Professor José Domingo Villarroel. The results of this research have been published in Symmetry. Prof Villarroel says, "A highly significant factor related to teaching and learning processes is being able to determine the pupils' abilities and knowledge so as to be able to adapt didactic activities to these prior determinants. This is one of the golden rules in education." Lecturer Álvaro Antón says, "Knowing that children spontaneously use symmetry provides an opportunity to explore graphical expression in childhood and use this resource in the teaching activities relating to biological phenomena and geometrical knowledge." To conduct their analysis, the research team worked with a sample of 116 drawings produced by 65 girls and 41 boys from three schools in pre-primary and primary education located in the Uribe-Kosta district in Bizkaia during the 2012-2013 academic year. They were spontaneous drawings, without any knowledge or instructions beforehand relating to symmetry. The researchers selected plant life as the subject for pictorial expression, a subject that a priori has no apparent link with geometry and symmetry. 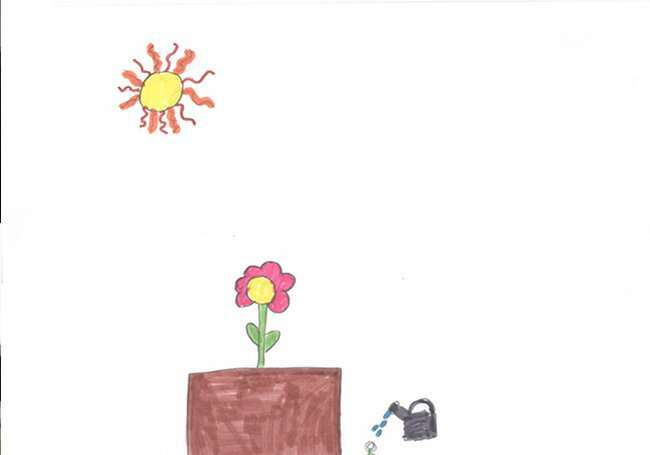 With the help of a puppet, the children were encouraged to produce a drawing that would explain to the puppet what plants are like, where they live and what is good for them. The individual activity took about ten minutes. These representations were analysed by the research team, and they found that the girls and boys used two types of symmetry. Researcher María Merino says, "They use cyclic symmetry (which presents rotational symmetry around a central point), for example, when they depict the sun; and dihedral symmetry (which includes both rotational symmetry and reflection symmetry) when depicting the human shape. Of the two, the most common is dihedral symmetry, which they use to draw the plant world, people and their environment or decorative elements such as stars or hearts." At the same time, the researchers saw that the complexity in depicting dihedral symmetries is greater than that corresponding to cyclic symmetries, and that at higher levels of education, when children need to express more in-depth knowledge, they also draw more complex symmetrical pictorial items. From the gender perspective, girls use complex symmetries more frequently than boys. This study is a first step toward determining the connection between children's knowledge about the plant world and the images they produce; the aim is to find what relationship exists between geometrical thinking and the graphical expression of this thinking. Villarroel says, "The study of these connections is hugely interesting, because scientific activity is always linked to mathematics. Scientific thinking is inevitably linked to mathematical thinking, and that is why it is important to understand how relations are established during childhood between both types of thinking, that relating to the explanation of biological phenomena and geometry."